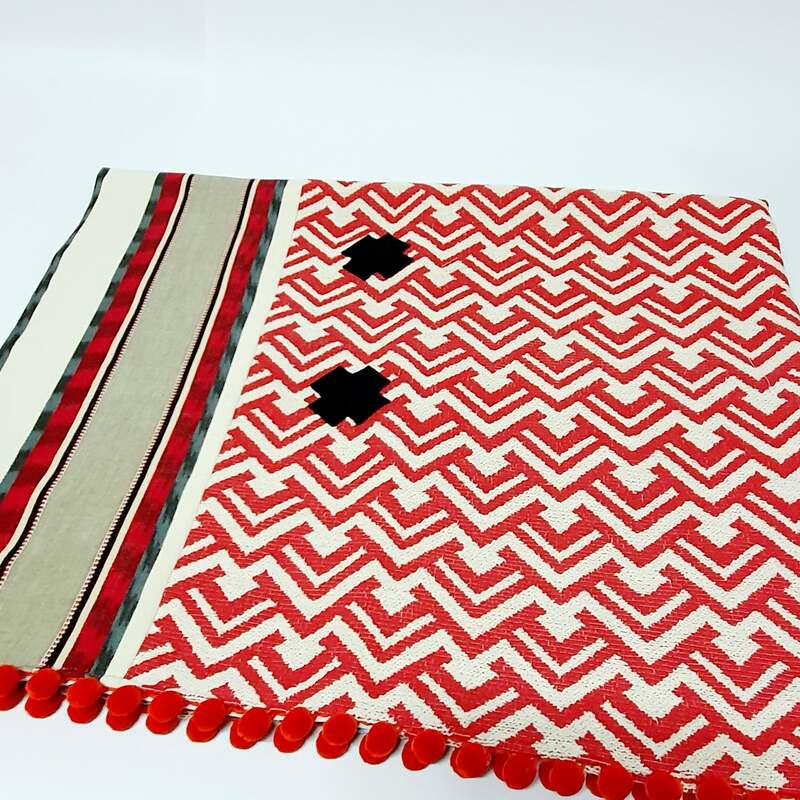 A homemade statement throw for a statement chair, in your home. 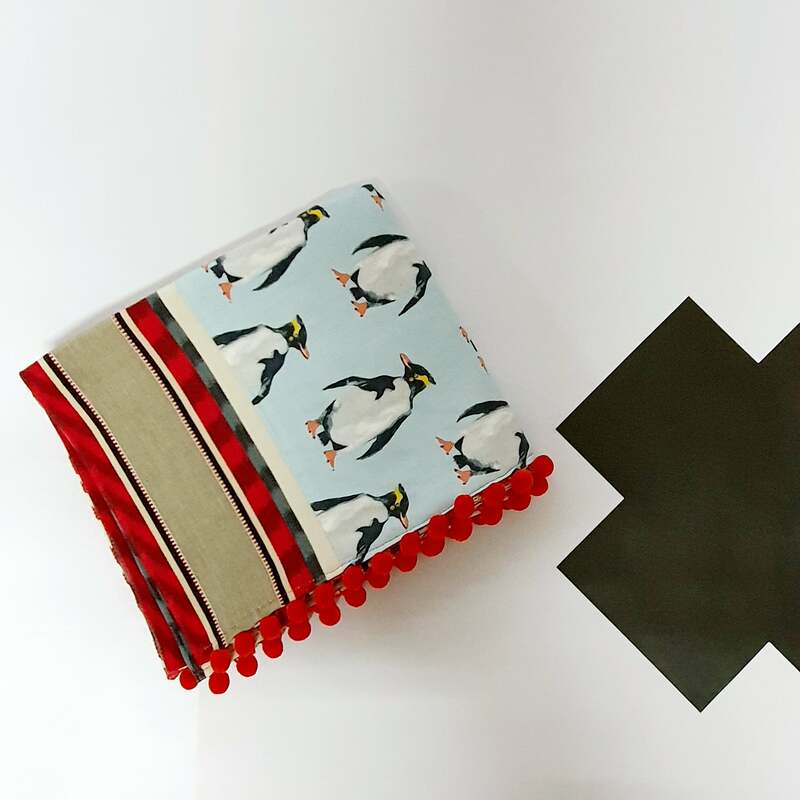 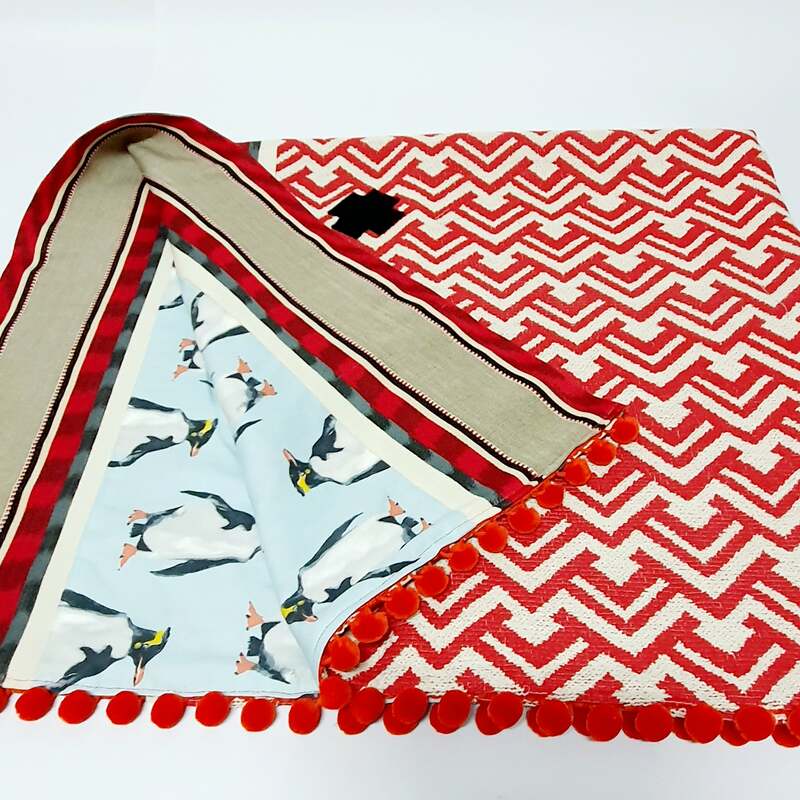 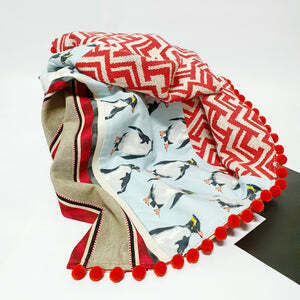 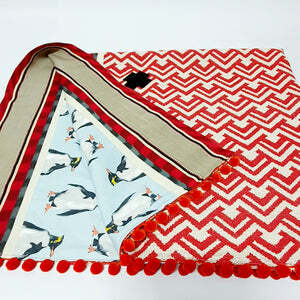 Throw contains a Comme Glom of different fabric, clashing textures, penguins and crosses. 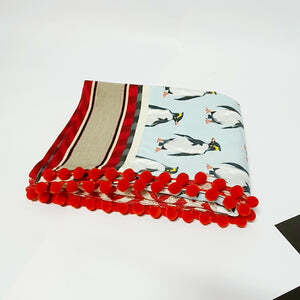 On each side are orange pom poms. 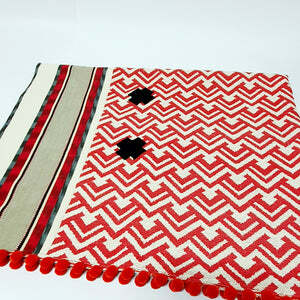 This throw makes an impact in any room it's in!